Could Emilia Bassano be Shakespeare’s Dark Lady of the Sonnets? Who was the Dark Lady of the Sonnets? The identity of Shakespeare’s enigmatic muse has puzzled scholars and historians for centuries. A strong contender is Emilia Bassano. She was the British-born daughter of an Italian court musician to Queen Elizabeth – and later the wife of another, Alphonse Lanier – and became a poet of distinction in her own right. Her name rose to the top of the list of favourites in the mid-1970s when the historian AL Rowse published Shakespeare the Man, in which he claimed to have proved conclusively that it was Bassano who inspired Shakespeare. Bassano was born in 1569, five years after the playwright, bore two children and died aged 76. She was well educated, assertive, a published poet and moved in elevated circles. She was said to have been the mistress of the Lord Chamberlain, Lord Hunsdon – the Queen’s cousin and the patron of Lord Chamberlain’s Men – presumably before she married. 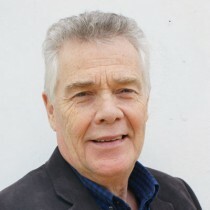 Although Rowse’s contention was later repudiated by the Shakespearean scholar Stanley Wells, others have backed up the Bassano theory, including the late actor Tony Haygarth, who wrote a play about her putative relationship with Shakespeare. Haygarth linked Bassano to a miniature portrait by the Elizabethan artist Nicholas Hilliard in the Victoria and Albert Museum, dated 1593, reputedly showing the Dark Lady of the Sonnets, in which the sitter is wearing a bodice of silkworm moths and mulberry trees, apparently prominent in the Bassano coat of arms. As a sophisticated and attractive woman about town in the late 16th-century, Bassano would certainly have visited the Globe Theatre, possibly on multiple occasions. 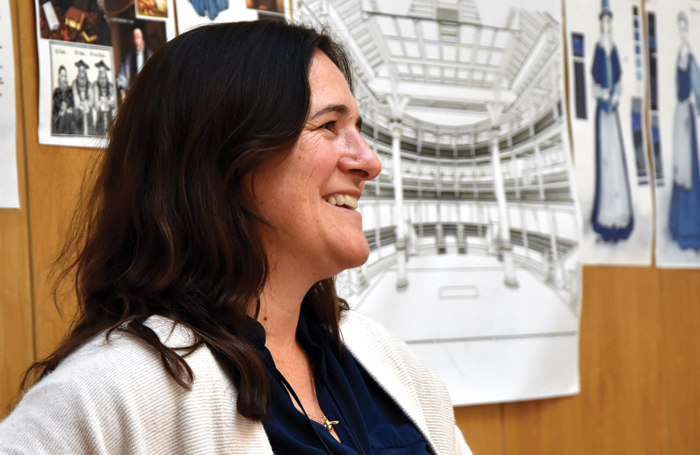 She might have been astounded to find herself, in 2018, the main protagonist of a new play, Emilia, commissioned by the Globe’s artistic director, Michelle Terry. 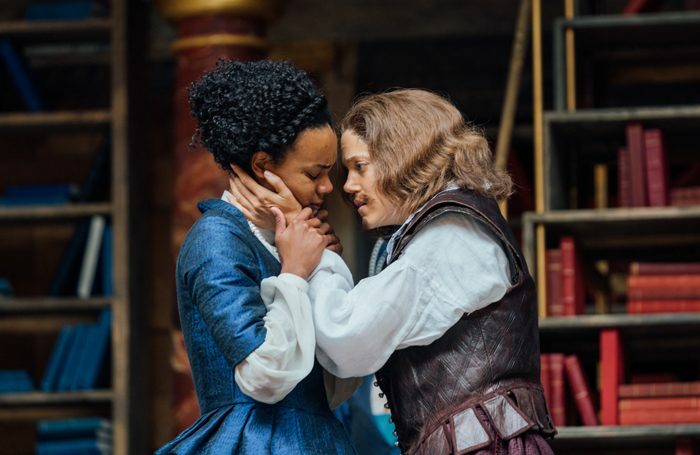 So intrigued is Terry by the Bassano story that she has shaped her inaugural season around this rather shadowy woman – there are characters named Emilia in Othello, The Two Noble Kinsmen and The Winter’s Tale – and the original Emilia is celebrated in all her enigmatic glory in Morgan Lloyd Malcolm’s new play. Not surprisingly, researching Bassano for the play proved frustrating for Lloyd Malcolm, despite the best efforts of the Globe’s Research and Archive Library. Little is known about her apart from legally documented information, her court connections and her collected poetry. She also referred to the writings of the royal astrologer Simon Forman (1552-1611), whose diaries were the basis for Rowse’s Dark Lady findings. Forman accused Bassano of being “a whore and a harlot”, but Lloyd Malcolm concluded this was probably sour grapes as it was quite likely the notoriously lascivious Forman was rebuffed by Bassano. “It was a case of reading between the lines and looking at what she was dealing with as a woman at that time,” says Lloyd Malcolm. 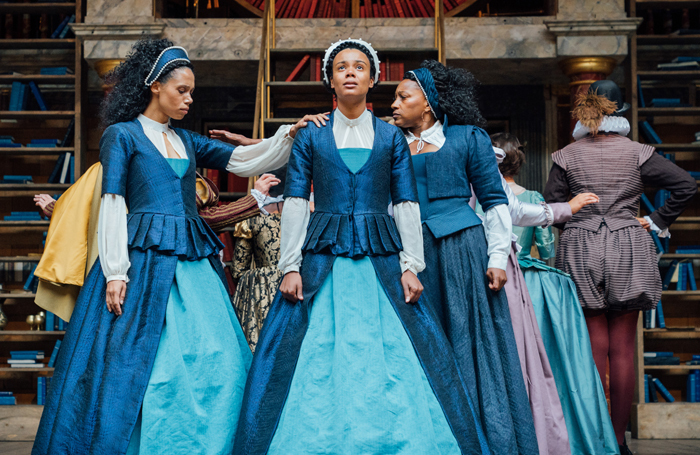 Her play, she says, is “unashamedly feminist” with an all-female cast of 13, including three women playing Emilia at different stages of her life and Charity Wakefield as William Shakespeare. Director Nicole Charles, who has worked closely with Lloyd Malcolm on the play, sees Emilia as “a figure of great power and mystique, a radical for her time, a theological visionary and a considerable poet”.